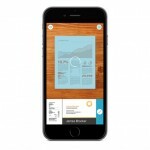 Evernote Scannable (Free) by Evernote is the latest app from the folks behind all-in-one note-taking and document app, Evernote, and it’s one of the best ways to scan any paper that comes your way. If you are looking to move into a paper-free life, and use Evernote to file everything away, then Evernote Scannable is an app you must check out. 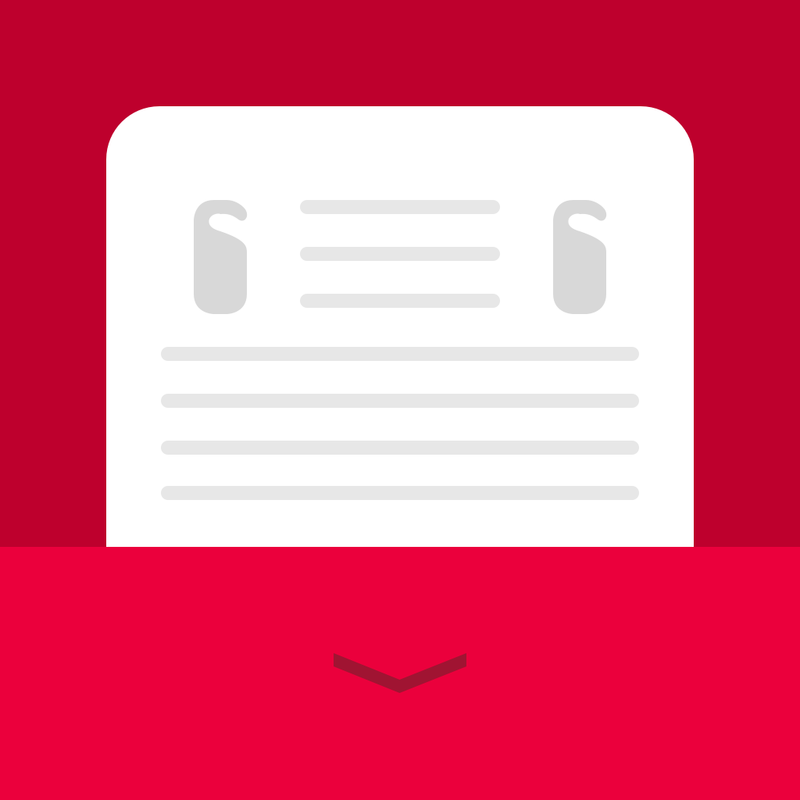 It’s similar to other apps out there, such as my other favorite, Scanbot. 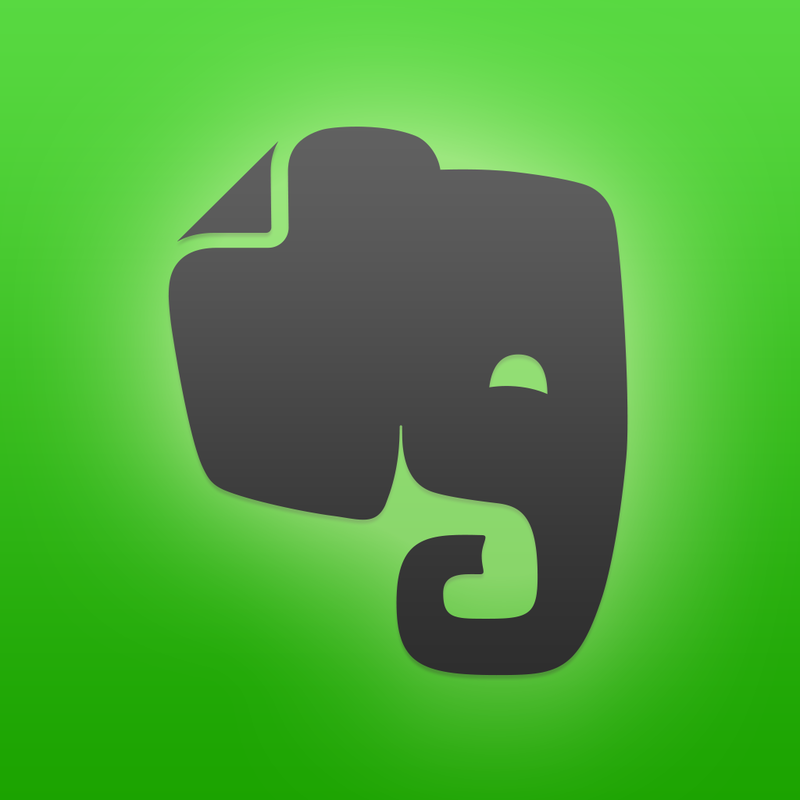 I’ve been an Evernote user for a few years now, but it’s not an app that I like to write in. Instead, I use Evernote for everything except writing — it’s the place I dump document scans, PDFs, Web clippings, links, and anything else I happen to come across that I want to save. I even have some IFTTT recipes that automate getting links or articles into Evernote for me. To me, Evernote is my “digital brain dump,” and I’m sure that it is that for many of you as well. When I heard that they were coming out with a new app, I was pretty excited to get my hands on it. 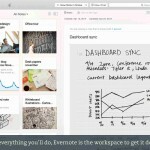 Now that it’s available, it’s becoming one of my favorite scanning apps for Evernote. The interface for Scannable is minimal and clean, which is fantastic. The app also works quickly, unlike some other scanners I’ve tried in the past. When you launch the app for the first time, you’ll get a brief little introduction video that shows you the basics for using the app. But in reality, it’s so simple that this isn’t needed — you’ll get the hang of it right away. 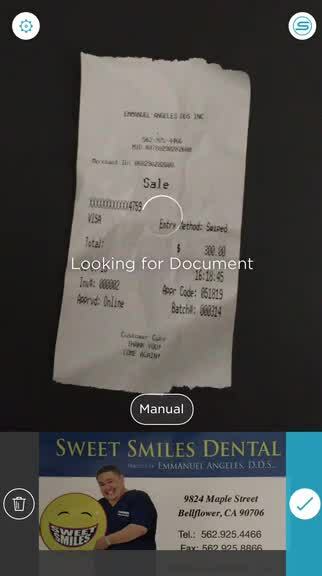 Scannable will always launch into the camera, because that’s the main part of the app — it’s a scanner. 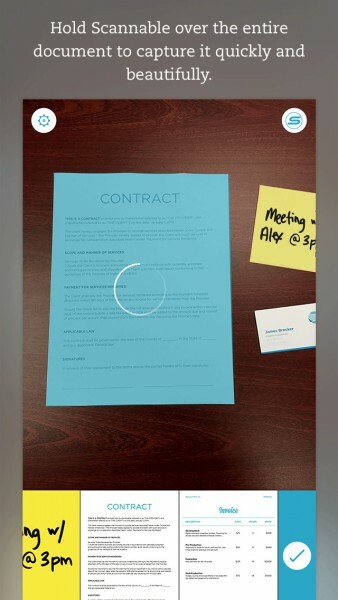 When you hold your device over the document, Scannable will show a blue overlay on top of the document on the screen, and then a circle will “count down.” Sometimes you may need to get a better positioning of the document, as the blue may cover only a portion of the paper if there are fold lines or wrinkles. Still, Scannable recognizes documents a lot faster than other apps I’ve used before. 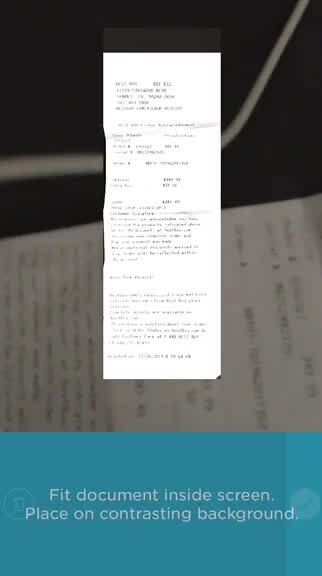 If the document you are trying to scan isn’t working well with the auto-recognition of Scannable, you can switch to the manual capture with a single tap. 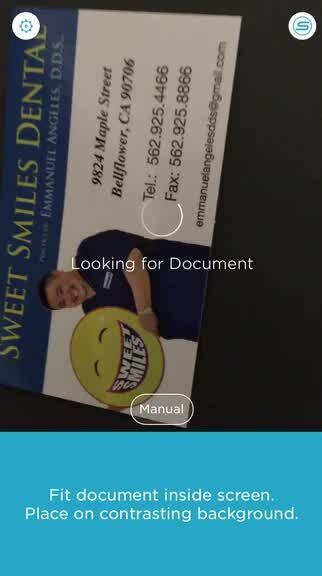 Regardless of auto or manual capture, Scannable works best when used on a contrasting background from the documents. To fine-tune your scan, you are able to crop a scan or rotate it if needed. Or if you aren’t satisfied, just delete it. 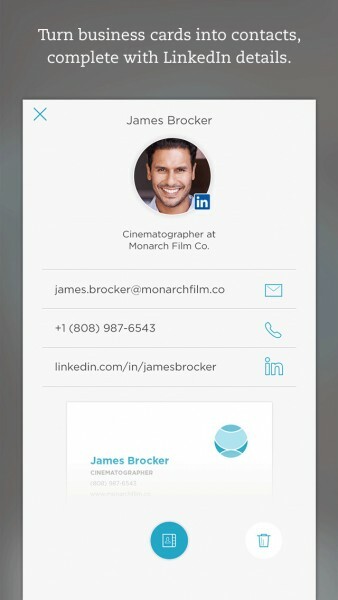 When you scan business cards, Scannable can automatically search LinkedIn and get their contact details added to your device directly. If you deal with business cards frequently, this is a huge timesaver. 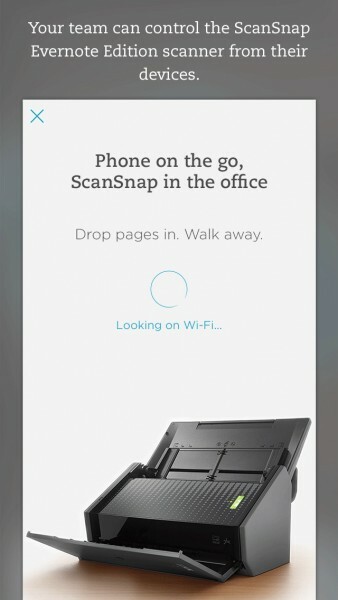 For those of you who own the Evernote ScanSnap scanner, Scannable works seamlessly with the device to help you manage multi-page scans and get rid of your physical paper stacks. When you’re done scanning, just tap on the individual scans or select the batch if you did multiple ones. 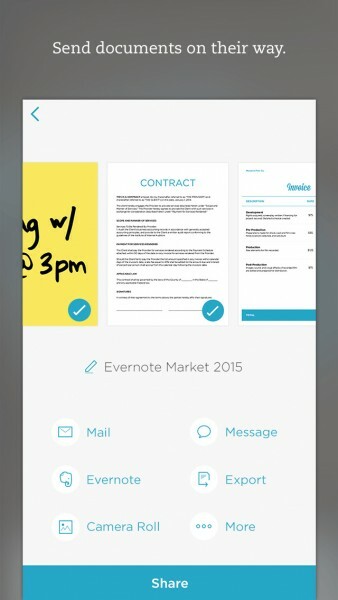 You can rename them first by tapping on where it says “Scannable Document” for easier recognition. When sharing from Scannable, you can send it directly to your Evernote account, or send it via email or message, export it to iCloud or Dropbox, save it to your Camera Roll, and open via the native Share Sheet. While Scannable is pretty basic, there are some things you can change via the app’s settings. You can choose to utilize the flash and have it always on, off, or auto, and log in to your Evernote account and have automatic uploads enabled. 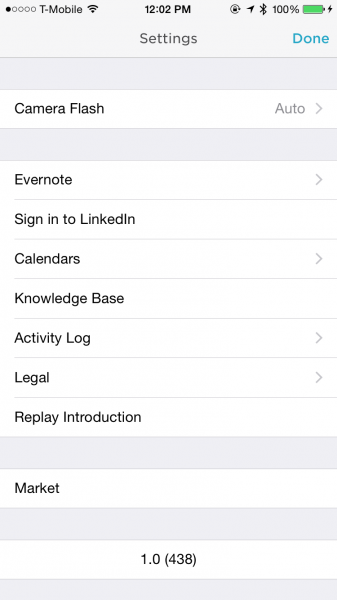 If you want to use LinkedIn, you can log in from here too, and give the app access to calendars. I am not a frequent user of LinkedIn, nor do I have the ScanSnap scanner, but I still like Scannable for scanning the documents that I have. 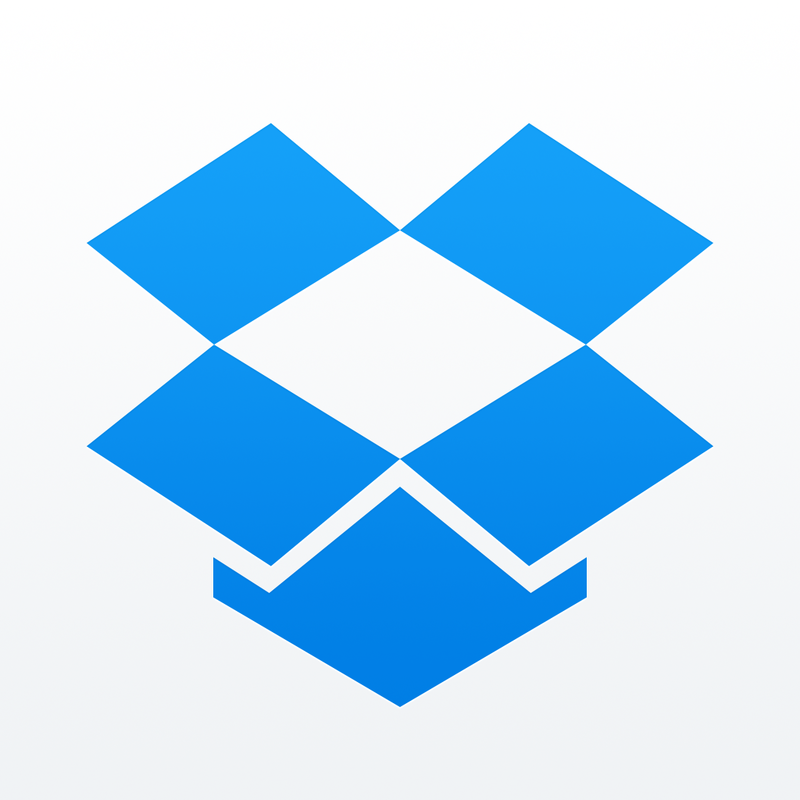 I found the app to be fast and stable, and it can recognize documents more easily than other apps. I’ve been a fan of Scanbot for a while now, but since I sent my scans directly to Evernote from that, I may use Scannable for now. 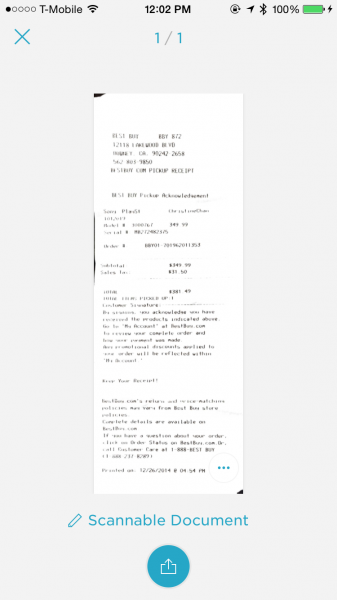 I recommend giving Evernote Scannable a try if you’re looking for a mobile scanner to send any type of paper document into your Evernote account. 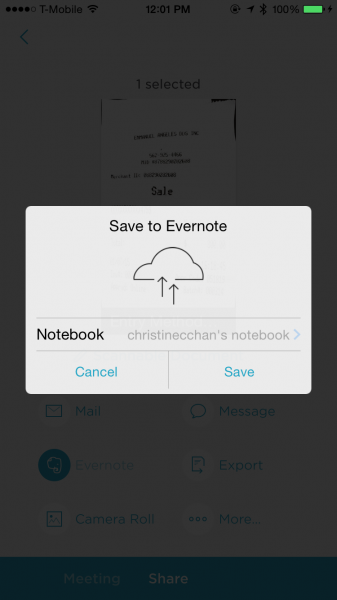 You can find Evernote Scannable on the App Store as a universal app for free.